As Fleet Managers its important to know the full specifications of a vehicle. So here’s the details on the all new Subaru Forester. The robust look evokes a great combination of comfort and adventure. Substantial bumpers, muscular guards and a shoulder line emphasizing height, underline Forester’s on-road presence. 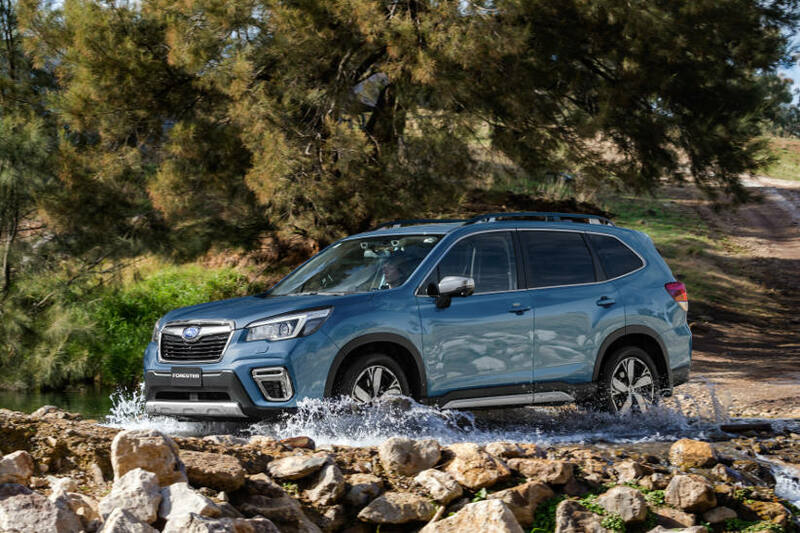 Forester offers a variation on Subaru’s classic hexagonal grille, with aerospace-inspired motif, while the C-shaped headlight motif continues a trend shared with Impreza and XV. Forester 2.5i-S adds silver finish lower bumpers, side sill garnish, roof rail tie-down highlights and mirrors, plus a piano black front grille with chrome surround. The LED fog lights also have piano black garnish. All Forester variants have alloy bonnets and front guards, for weight-saving. The new C-shape rear light design creates a signature style that complements the headlight look. LED lights help reduce power consumption and improve fuel efficiency. All Foresters have distinctive new design 17-inch (2.5i and 2.5i-L) and 18-inch wheel patterns (2.5i Premium and 2.5i-S). For added convenience, loopholes are added to the roof rails of Forester 2.5i-S, enabling ropes and straps to be tied down directly onto the rails.